Hurricane Irma first made landfall in Florida at Cudjo Key in the Florida Keys. When the storm approached peninsular Florida it was a category 4 storm with hurricane warnings posted for the entire state of Florida; the first time that the entire state of Florida was under a hurricane warning. After travelling over Florida Bay, the storm made a second landfall on Marco Island and was a strong category 2 when it passed over the Caloosahatchee and the RECON sensors. The storm caused much less flooding and damage than was predicted. RECON data was used by the Lee County Emergency Operation Center (EOC) to determine the potential damage and to plan resources for recovery efforts. RECON broadcasted data throughout the storm on depth (Mean Sea Level) and wind speed. Because of the powerful offshore winds, the sensors documented anomalously low depths at all sites during the storm. 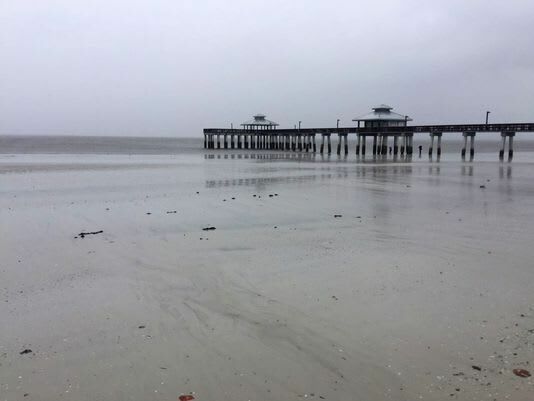 A picture below from the News-Press shows the Fort Myers Beach fishing pier with almost no water beneath it. Once the eye had passed, the wind direction reversed and the storm surge was recorded at around 3-4 feet. This was much lower than the 9-12 feet predicted in the days preceding the storm. 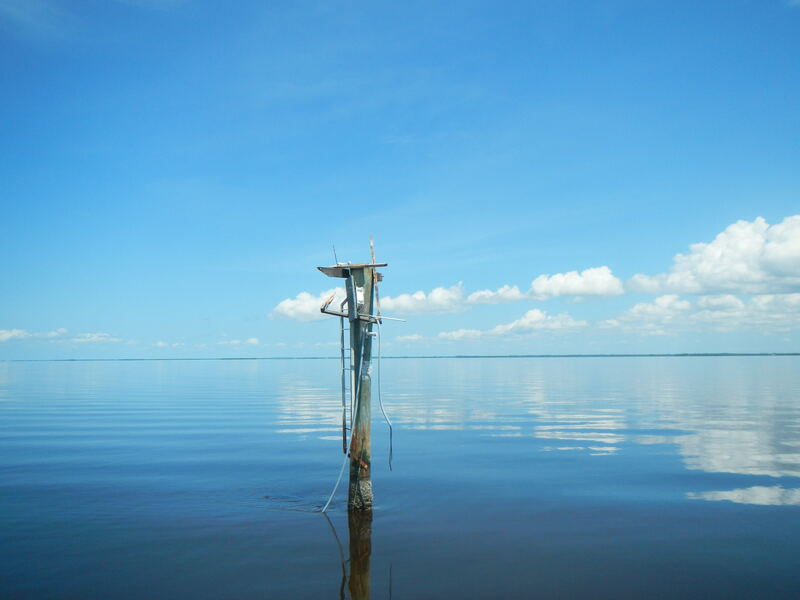 Unfortunately, the storm did topple a weather station with solar panel at Redfish Pass (shown below) and we lost a set of cables when the dock at Tarpon Bay was destroyed. The staff is writing proposals to various funding agencies to replace the damaged equipment. 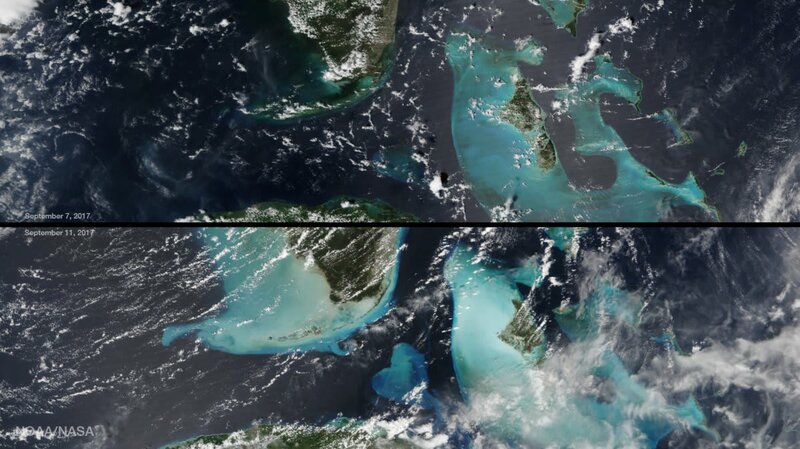 The satellite imagery shows the turbidity throughout the Keys and Florida Bay in the wake of the storm. Plots of turbidity from RECON show a spike during the storm that was among the highest ever recorded in the region.